PaperTyger is manufactured by a patented, unique, solvent-free laminating process, which means that all our papers positively contribute to a wide range of applications where durability is required. The range of our high quality, technologically advanced, cost competitive papers gives our customers more application options than ever! 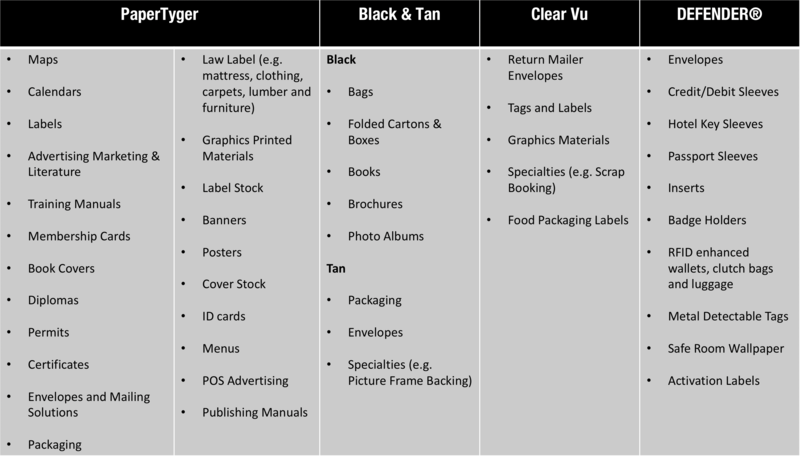 Each PaperTyger product has unique characteristics that make it better suited to certain needs. For example, our Black and Tan range is the durable solution for sustainable packaging on high resistance handling, while our DEFENDER® range contains a security banner to prevent RFID detection. But how can you use them? We created a table to share some tested and proved examples of how you can use PaperTyger laminate papers. But this does not mean the ideas stop there! The pairings of these applications and particular PaperTyger products are just our initial recommendations. 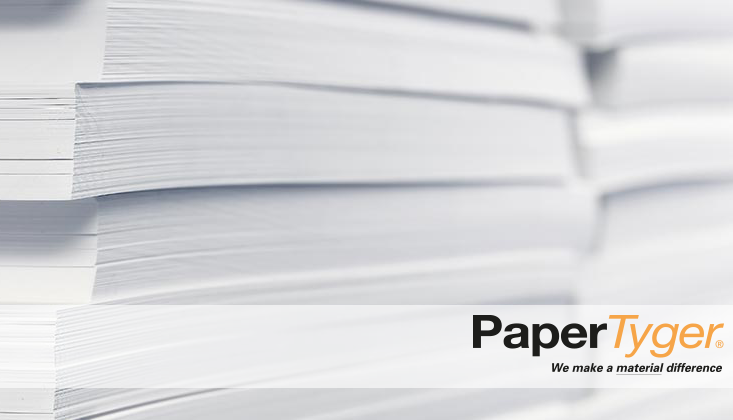 We suggest that you reach out to one of our paper experts to talk through your options and get a suggestion catered to your specific needs. Please do not hesitate to contact us if you require any assistance. We look forward to helping you find the product that meets your needs and enhances the performance of your application!